We would like to thank the following sponsors for their ongoing support and look forward to a very long relationship. As we approach year 4 in our fantastic new space, those of us who remember ‘the way it was’ can’t possibly thank them enough. The ease of access we now enjoy and privacy for our clients is priceless and the location, office space, meeting room and parking are a HUGE bonus; all this and rent free!!! We estimate the value of this gift at approximately $30,000 per year! For over 10 years, our local newspaper has included our ads, articles, meeting notices and covered our stories. We estimate the value of this gift at over $10,000 per year! Since 2006, Safeway has been our major location for food donations by local residents. In 2016, 19,335 pounds (8788 kg.) of food has been donated at Safeway, and the recent donation of gift cards has helped us to provide healthier choices to our clients. 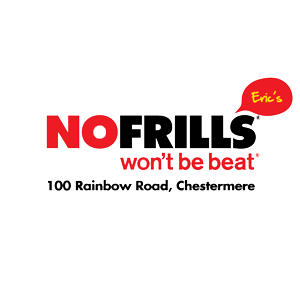 Our local No Frills has been supporting us since they opened about 3 ½ years ago, not only with a drop off bin for residents but with product for special events and when we’re low on supplies, storage for our excess perishables, through their many Loblaws campaigns, and have just been a great neighbour! Since opening last year, our local Cobs Bread has generously donated their unsold bread, buns and other goodies to the Food Bank. 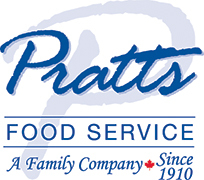 Each year, Pratt’s is a huge supporter of the Christmas Hamper Program by supplying the turkeys for the holiday meal. This year, they are supplying the entire hamper!